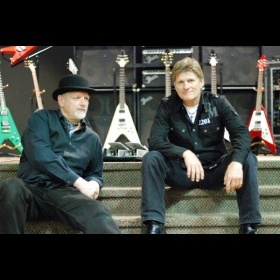 Brian Danter comes from a gold album selling, classic rock band from Canada called Teaze. Teaze had 5 great albums and experienced their greatest success in Japan. After leaving the band due to personal convictions of faith, he accepted a call to ministry as a worship leader for 25 years. Now equipped and wanting to reach out to those he once left behind... he's back. As we always begin, I’ll say welcome to all the new subscribers and especially those at N1M and those that found their way via Drooble. This site is our new focus for exposing our current projects along with our history. More details on our current projects are going up on our Patreon site link. If you are new, a standard statement of our philosophy and how it creates value for you is always included at the end of this newsletter. This first paragraph or something very similar will begin each newsletter. Thank you for hanging out with us. We appreciate the time you spend listening and adding us to your playlists and recommending us to your friends. It means a lot. We’ll begin with the Teaze Resurrection of 2019. Brian’s show with his old band was a triumph and there are things now in the works for the near future which I can’t say a lot about yet. 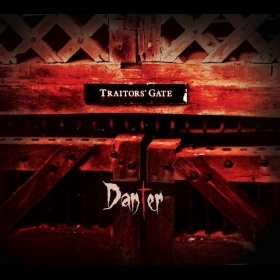 It means Danter (the Band) is on hold for the label but it also means some major exposure for the new Danter material which went over very well as part of the Teaze show. Added bonus for our record company is that Chuck Lambrick of Tanzen, now going by Charlie Lambrick is now an official member of Teaze replacing Chuck Price. Chuck Price is doing special guest appearances but has opted out of regular appearances. The theatre sold out as expected and the audience came from all over the globe. Anyone want a show in Toronto or Montreal? Give us a call or drop us an email. We are also making available some Teaze T-shirts (White or Pink logo on black), 3 re-released Teaze CD’s including a UK import from Teaze and Brian’s Solo CD, (Traitors Gate) with T-shirts and caps. Also available is a JLT Records T-Shirt and cap while supplies last. Write us a message via Jael on NumberOneMusic or Drooble, and ask for details and I’ll send pics and prices. As mentioned in the last newsletter Jael came across some very old tapes of session outtakes and concerts in a vault. Things we thought were long gone are being evaluated. More and more stuff is coming to the surface and some will no doubt be re-released. The big issue is that there is a ton of new stuff coming and money is the thing that always applies the brakes. Old Jael projects can be sampled on Drooble where a number of Jael historic releases are being featured. Here's the link for Drooble. link. We are very excited to be releasing many old and new projects with current and past friends of the label this upcoming year. 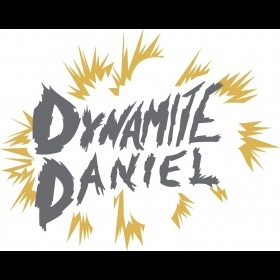 A new rap release is coming this month under a new moniker. Watch for KtdaG. Maxwell AU will have a new release by next month, Ian McGregor Smith will have a jazz album out, Jamie Dech will also have a jazz release. 2Fish is looking for a new release and we are looking to a fundraiser right now to finish that one. Bill Compeau will be releasing material from up to 3 different projects all currently going through a wonderful mastering process that is Bill’s other gig. We'll be uploading as soon as all this comes available. It should begin the roll out on NumberOneMusic in 2 more weeks. A little history is in order so you know a bit about these artists and how they fit into the one band scenario. Jamie Dech has the longest history with the Jael Band going back to when the band was called Preflyte in the early Jesus Music genre pre-CCM. Before Jamie joined, a member named Kevin Rogers left Preflyte to pursue dreams of becoming a Pastor and formed a band called Numbers and then 2Fish with another Pastor Kevin (Saunders). 2Fish is the oldest association being released and Kevin was on the first Preflyte vinyl project in 1978. Did I mention that Brian married Kevin's sister? She's currently singing backup for Teaze. Bill Compeau played lead guitar with Jael in 1989 and was on the Songs for lovers and Other Minorities Album released in 1990. He went on to form I-75, Red Iron Road and KinAxis and found time to gig with Phil Keaggy and other notable CCM artists and re-master Matthew Ward’s first solo album. Bill also used a Jael composition called Line in his early shows after leaving Jael. 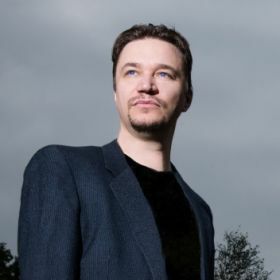 Ian McGregor Smith has played keys live in the Jael Band and still helps out when we’re in a pinch but spends most of his time writing cantatas for church choirs or playing jazz to clear the mind and be creative. We’ve explained Maxwell’s presence previously but there’s another one or two possible connections, which will possibly be announced in the next newsletter if the deals come together the way we’d like them to. That leaves KtdaG. This rapper and Jael have shared the stage a few times and actually have a long association through family, even before he understood his connection to God’s big family. Funny it should be revealed here since he hasn’t been told yet. He just found out that Jael was JL the Cool Jay and actually did some rapping. One surprise at a time. He got a shot to perform at the Under the Tent Festival and he was outstanding even with some sound system problems. The Status of the Projects That Are Up Next. 1. The host of new projects listed above is now the first priority, pushing back the old priorities simply due to demand. So here is what you can expect to see on the website, which is still being completed at link. There is nothing there yet but it will be the media store for books, music and film. One Jamie Dech release, at least two Ian McGregor Smith releases, 4 2Fish releases, 2 Maxwell AU releases, 2 or 3 Bill Compeau Bands, 1 Danter release, 1 Tanzen, 2 Salt of the Chief Cornerstone releases, 3 Legion releases, 13 releases of various Jael incarnations (Lorne James, Jael, Preflyte, Jay and the Rubber Band and JL the Cool Jay) and 1 Lamenting Vinyl release. This roughly half of the artist configurations we might be able to release if all goes well. There is a lot of material still being discovered in old vaults from these existing listings so more albums might show up from all. 2. Playing for an Audience of One - Jael. So there is good news and bad news. Because we have so much new stuff to release, and the long awaited praise and worship album from Jael grew into 2 albums, we have run out of money. We need 6000.00 to make them both happen for mixing and mastering. The recording is finished and so there is a huge level of excitement here. We are rethinking this release because the money can go much further in releasing the product for which the funds are all in. (See the list above.) We kept adding tracks and versions to make sure we had great stuff and now we absolutely have enough material for a Volume 2 as well. This will hopefully be launched by the next newsletter but we'll only do one volume at a time. I know I said you'd be able to pre-order it last newsletter but we are still having some website issues. We are still on track with the production schedule. The new release date is dependent on Patreon contributions and sales of Jael product specifically. The Teaze launch set us back a bit for Danter merch but committed funds are never co-mingled so when you give to a project, it goes to a project. The money mentioned above is all non-committed to anything specific which we would use for Jael if the other releases were not happening. 3. 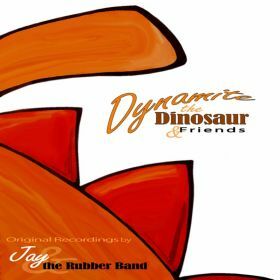 Concert for Whale World - Jay and the Rubber Band - 2nd in the Children's album set similar to Dynamite the Dinosaur. Cover art done. Songs are written and demo’s done. This is an older album that was lost to a flood before it was released. Live videos of a few songs are floating around the web. 4. Where's Peter Duo EP. Jael with John Krasinkiewicz - 6 songs. This is still being written and we're no further along than we were last newsletter. 4 Songs have now been completed. 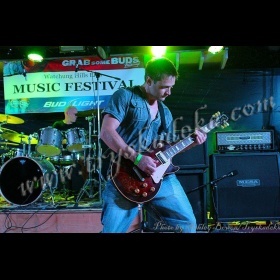 John had more time with the Jael album done, but is now playing lead for yet another performing unit. We’ll see how this goes. It’s discouraging to see this being pushed down the list. All these guys need support and even a small monthly donation at Patreon helps a lot, for morale if not just the financial support. 5. 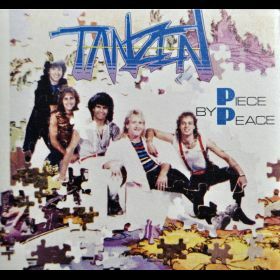 Tanzen re-release of Piece by Peace album. An import has been licensed by us and re-released from Italy a couple of months ago, our domestic version will have some surprises and be slightly different but is being delayed while the import is hot in all markets. 6. Release of Legion's boxed set. 3 albums. with extra demos. Pre-orders will be available once the web is up again. Individual albums of course will still be orderable. 7. Jael's Boxed set - For the Record - 5 Discs. The target for release is post Where’s Peter. 8. For next year (2020) there will not be a new Danter release. The reason for the constant rethinking of this project has everything to do with the re-emergence of Teaze. So much is happening there that it’s almost a full-time job keeping up events as they unfold. 2. Jael’s World Missions Tour has been indefinitely postponed. He has recently lost his father and details concerning the estate and the marriage of his 5th daughter have definitely interfered with plans. He is working closely with several African artists in different countries to build a JLT Records presence there so that when the tour launch happens, it will include some wonderful business workshops as well a concert series. The African version of the Jael band is already bringing spin off projects. 3. Jael is currently booking solo gigs. The Jael Band is available as is Danter, still rehearsing even with Teaze together but availability is limited. 2. Jael will release a number of his Children's Picture Books and has 2 non-fiction, a novel and a poetry gift book in the works. Work on promoting those already out has to get better so please help spread the word. Look for Eight Keys to Lasting Success or for Dynamite the Dinosaur (The book…there is also a CD) if you want to check out what’s already out. Demand is growing and the websites will be out soon after the music ones are finished. The next book out is expected by the time you get the next newsletter. It is called Crocodile Tears and has hit a small delay. It was going to be available at Amazon by next week. We missed it. We’re waiting on one last picture revision. Find it by using Jael's pen name, Andrew Cody. 3. 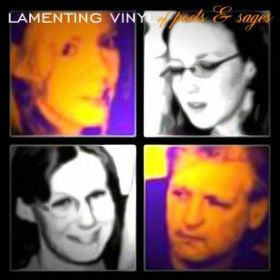 Rachel Starr Thomson of Lamenting Vinyl is well established as an author and speaker. She has begun work on a new Christian Fantasy series (her 4th) and has finished the first book of the set. It's called Seeds. More about her and her work here. link Recently we were asked about Rachel’s latest book and when we started talking about Seeds, they seemed confused. They meant her latest non-fiction work which is called, Fearless (Free in Christ in an Age of Anxiety). Co-authored with her two ministry partners, It’s well worth checking out. As you can see, we have our work cut out for us. In the meantime, we have to find time to eat and sleep, and the means to be able to do so. If this inspires you, go to Patreon and pledge. Check back often, we'll be updating regularly. We will reward you handsomely for being a more significant part of the team that will make this happen. We will be launching 2 more crowd funding projects on other sites if you’d rather pledge a one-time gift to make something specific happen. Details are coming in the next newsletter. Love you all. Our goal is to give away all digital products we create and sell the stuff that's physical merchandise. To do this we need support. The older stuff that is under a contract, of course, we won't be able to make the same offer but starting with a few of my (Jael) older albums and the new projects, the digital copies of music will intentionally be given under a new license and they will be free. My idea is that the music comes to me as a gift from God and you should pay more attention than money. I give it because people tell me that the joy, the encouragement, the praise, the lessons, the parables, the calls to action found in it have helped them in some way. It's a theme of my life. It's called ministry and I have been dubbed a parable singer by some who know me well. 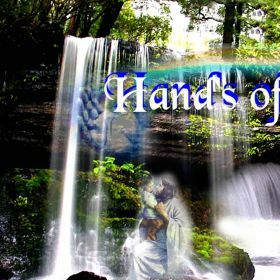 It's not all religious but it is all intended to honor the Creator God I serve. So thank Him if you like it. As usual, let me first welcome all the new subscribers and especially those at N1M and those that found their way via Drooble. This site is our new focus for exposing our current projects along with our history. More details on our current projects are going up on our Patreon site link. If you are new, a standard statement of our philosophy and how it creates value for you is always included at the end of this newsletter. This first paragraph or something very similar will begin every newsletter. The winter festival (MarchMusic) is now in the works for 2020. Under the Tent is also going to take a year off. I have a daughter getting married the weekend we were planning the festival and since I know what it takes to do a world-class job, I am not going to run a festival within 60 days of that event either. The Teaze reunion has been renamed Teaze Resurrection. Early April will see a very exclusive, VIP only, first reunion show in our hometown of Windsor. The theatre only holds 700 seats so tickets are highly prized. It's a benefit and a number of corporations have bought out sections for their VIP's and JLT Records has a few they are trying to figure out what to do with... Auction to the highest bidder? Find and give to the biggest fan? All options are on the table at the moment. We're taking suggestions. Email them to jaelmusic@link. Otherwise, you can get them online at Eventbrite. It's going to be held over for a second night from the look of things. Also, there are tentative plans to play Harpo's in Detroit shortly thereafter. Anyone want a show in Toronto or Montreal? Give us a call or drop us an email. We are very excited to be releasing many old and new projects with current and past friends of the label this upcoming year. Watch this space for more. A new rap release is coming this month under a new moniker. Watch for KtdaG. We'll be uploading as soon as it's available. The albums is done. Our web site is the first priority. 1. 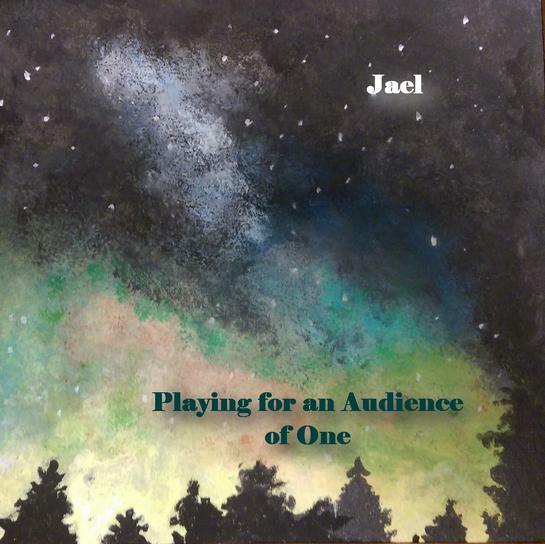 Playing for an Audience of One - Jael. We are rethinking this release. We kept adding tracks and versions to make sure we had great stuff and now we might have enough material for a Volume 2 as well. This will hopefully be launched by the next newsletter but we'll only do one at a time. I know I said you'd be able to pre-order it last newsletter but we are still having some website issues. We are still on track with the production schedule. The new release date is late March. 2. Concert for Whale World - Jay and the Rubber Band - 2nd in the Children's album set similar to Dynamite the Dinosaur. Cover art is in progress. Songs are written and demo’s done. This is an older album that was lost to a flood before it was released. Live videos of a few songs are floating around the web. 3. Where's Peter Duo EP. Jael with John Krasinkiewicz - 6 songs. This is still being written but we're further along than we were last newsletter. 4 Songs have now been completed. John has more time now that the guitar tracks for the new Jael album have been completed. 4 Tanzen re-release of Piece by Peace album. An import has been licensed by us and re-released from Italy a few weeks ago, our domestic version will have some surprises and be slightly different but is being delayed while the import is hot in all markets. 5. Release of Legion's boxed set. 3 albums. with extra demos. Pre-orders will be available once the web is up again. 6. Jael's Boxed set - For the Record - 5 Discs. The target for release is post Where’s Peter. 7. For next year (2020) there will be a new Danter release. Possibly 2. The one for sure will probably not be the continuance of the trilogy but if there are two, another element of that will be out. The reason for the constant rethinking of this project has everything to do with the re-emergence of Teaze. So much is happening there that it’s almost a full-time job keeping up events as they unfold. 8. 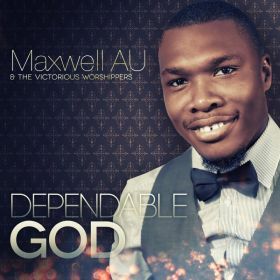 New Maxwell AU, Ian MacGregor Smith, Jamie Dech and Bill Compeau albums are expected as well. They'll be rolled pout ove the next few months. 2. Jael will do a missions tour to Africa, India & Thailand. Africa keeps expanding to include new countries. We started at 2 and may end up with 6 on the continent as well as 2 in Asia. This has been pushed back due to the delay in finishing the new album and arrangements have to all be rescheduled. Difficult when we are looking to coordinate with a potential 8 countries. 3. The grassroots West Coast tour has been canceled. Jael is currently booking solo gigs. The Jael Band is available as is Danter, still rehearsing even with Teaze together. 4. Maxwell AU is finishing a new album. 1. We are working on a Biography of Brian's story. This is now a high priority to complete. The target for 1st draft completion is now mid March. 2. Jael will release a number of his Children's Picture Books and has 2 non-fiction, a novel and a poetry gift book in the works. Work on promoting those already out has to get better so please help spread the word. Look for Eight Keys to Lasting Success or for Dynamite the Dinosaur (The book…there is also a CD) if you want to check out what’s already out. Demand is growing and the websites will be out soon after the music ones are finished. The next book out is expected by the time you get the next newsletter. It is called Crocodile Tears and has hit a small delay. It will be available at Amazon by next week. Find it by using Jael's pen name, Andrew Cody. As you can see, we have our work cut out for us. In the meantime, we have to find time to eat and sleep, and the means to be able to do so. If this inspires you, go to Patreon and pledge. Check back often, we'll be updating regularly. We will reward you handsomely for being a more significant part of the team that will make this happen. We will be launching 2 more crowdfunding projects on other sites if you’d rather pledge a one-time gift to make something specific happen. Details are coming in the next newsletter. Love you all. 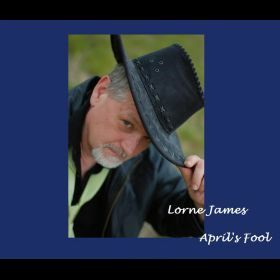 Thank you for the reviews and feedback on the Lorne James, April’s Fool Demo Project. There are still a few rave reviews we'd like to include in our promo's but I do get that you can't necessarily like everything. According to Harvard Business School, they have discovered something they call a triple-double. For those unaware of this fact, we do treat our music as a business and therefore pay attention to the stuffed shirts every now and again. Anyway, the triple-double is the idea that from conception to finish, any new idea or project will take 3 times longer to complete and cost 3 times more than your very best projections. You'd think after all these years running an indie label we'd have caught on by now. Our reworked websites are still unfinished and un-launched and every day costs us. You can't buy anything yet. As a result and to gauge the effectiveness of this newsletter, if you, my faithful subscribers, want a track, send a message via the N1M site with your email and any track up here we'll send you a download link for free. There are 2 exceptions. The Teaze track and the Don Sprik track cannot be sent this way. The festivals are back to front and center and the Jael African tour is in Limbo while the Teaze reunion continues to march toward Japan. Early April will see a very exclusive, VIP only, first reunion show in our hometown of Windsor. The theatre only holds 700 seats so tickets are highly prized. It's a benefit and a number of corporations have bought out sections for their VIP's and JLT Records has a few they are trying to figure out what to do with... Auction to the highest bidder? Find and give to the biggest fan? All options are on the table at the moment. We're taking suggestions. Email them to jaelmusic@link. The "Under the Tent Festival" is looking at a preview concert with several artists called MarchMusic. We are very excited to be releasing many old and new projects with current and past friends of the label this upcoming year. Watch this space for more. 1. Playing for an Audience of One - Jael. This will be open for pre-orders by the next newsletter. I know I said that last newsletter but remember the triple-double. We hit some snags but are back on track. The new release date is approximately in time for MarchMusic. 2. Concert for Whale World - Jay and the Rubber Band - 2nd in the Children's album set similar to Dynamite the Dinosaur. Cover art is in progress. Songs are written and demo’s done. This is an older album that was lost to a flood before it was released. Live video of a few songs are floating around the web. 3. Where's Peter Duo EP. Jael with John Krasinkiewicz - 6 songs. This is still being written. 3 Songs have now been completed. 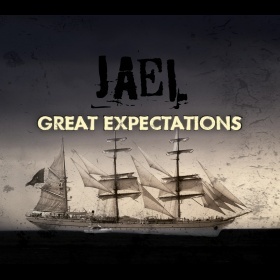 We are making progress though our focus has been the Jael album. 4. Jael will do a missions tour to Africa, India & Thailand. Africa keeps expanding to include new countries. We started at 2 and may end up with 6 on the continent as well as 2 in Asia. This has been pushed back due to the delay in finishing the new album and arrangements have to all be rescheduled. Difficult when we are looking to coordinate with a potential 8 countries. 5. The grassroots West Coast tour has been canceled. 2. Jael will release a number of his Children's Picture Books and has 2 non-fiction, a novel and a poetry gift book in the works. Work on promoting those already out has to get better so please help spread the word. Look for Eight Keys to Lasting Success or for Dynamite the Dinosaur (The book…there is also a CD) if you want to check out what’s already out. Demand is growing and the websites will be out soon after the music ones are finished. The next book out is expected by the time you get the next newsletter. This is one thing progressing according to schedule. I'm not ready with waaaaay too much stuff right now, so in lieu of a newsletter, I'm doing a quick post. 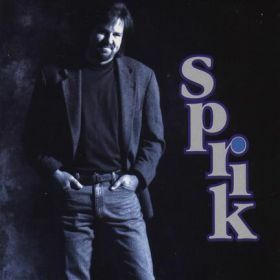 I just uploaded a song from Don Sprik that was recorded back in 2004. Jael writes music for a lot of artists and this has been a long time favorite. We thought the new Jael album would be out right now, but due to a number of restraints, financial, studio availability, musician availability and the constant interruptions of the season's priorities, it not going to be out until late January or February. So. I have scheduled to feature a few lesser-known but significant recordings of Jael material by other artists, not on the label. Don't worry legal people, we own the publishing and promotional rights to the masters. Enjoy. PS. We're still trying to get the Christmas single out before Christmas. No promises but you can pray for us. First, let me welcome all the new subscribers and especially those at link. This site is our new focus for exposing our current projects along with our history. More details on our current projects are going up on our Patreon site link. If you are new, a standard statement of our philosophy and how it creates value for you is always included at the end of this newsletter. This first paragraph will begin every newsletter. I am not getting much feedback from our newsletter. Does this stuff matter to you guys? 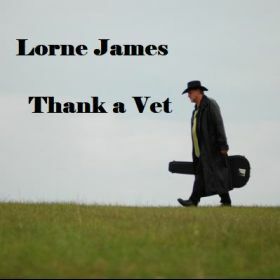 Still looking for some reviews and feedback on the Lorne James, April’s Fool Demo Project. We have now begun work on the new websites and will soon have news for you about the songs you have asked us about purchasing. The festivals are taking a back seat to the tours we have planned and will be developed later. Approximately two weeks from now, we should have a lot more about this published in this space. Make sure you open the email. 1. Playing for an Audience of One - Jael. This will be open for pre-orders by the next newsletter and is expected just before Christmas. 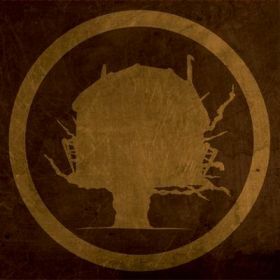 Almost finished the recording, mixing and mastering are the final stages. We still need to raise some money to finish it but the end is clearly in sight. There is an island feel to one of the bonus tracks that is a Christmas version of the song. 4 Tanzen re-release of Piece by Peace album. An import has been licensed by us and re-released from Italy a few weeks ago, our domestic version will have some surprises and be slightly different but is being delayed while the import is hot in all markets. Not sure if we have our sights on Christmas for this. 5. 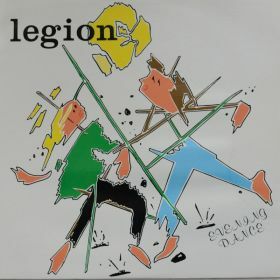 Release of Legion's boxed set. 3 albums. with extra demos. We are thinking this might get out for Christmas as well. Pre-orders will be available once the web is up again. 6. Jael's Boxed set - For the Record - 5 Discs. Target for release is post Where’s Peter. 7. For next year there will be a new Danter release. Possibly 2. The one for sure will probably not be the continuance of the trilogy but if there are two another element of that will be out. 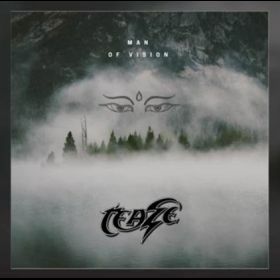 The reason for the constant rethinking of this project has everything to do with the re-emergence of Teaze. So much is happening there that it’s almost a full time job keeping up events as they unfold. 4. Jael will do a missions tour to Africa, India & Thailand. Africa keeps expanding to include new countries. We started with 2 and may end up with 6 on the continent as well as 2 in Asia. 5. No changes to the grassroots West Coast tour to report. 1. We are working on a Biography of Brian's story. This is now high priority to complete. Look for 1st draft completion by New Years Day. 2. Jael will release a number of his Children's Picture Books and has 2 non-fiction, a novel and a poetry gift book in the works. Work on promoting those already out has to get better so please help spread the word. Look for Eight Keys to Lasting Success or for Dynamite the Dinosaur (The book…there is also a CD) if you want to check out what’s already out. Demand is growing and the websites will be out soon after the music ones are finished. My idea is that the music comes to me as a gift from God and you should pay more attention than money. I give it because people tell me that the joy, the encouragement, the praise, the lessons, the parables, the calls to action found in it have helped them in some way. It's a theme of my life. It's called ministry and I have been dubbed a parable singer by some who know me well. It's not all religious but it is all intended to honour the Creator God I serve. So thank Him if you like it. For subscribers, I send links to things you might have missed in other places. For this newsletter, I am putting up a video link to one of the first songs I posted to N1M that somehow just disappeared back before I had really made a commitment to be on N1M, It is a Danter song that actually started to show up on Canadian radio but was pulled due to a bout with cancer right after release. Brian has fully recovered, thank God but it was a bit scary then. We are now just getting to seriously promote it for the second time. So here it is.